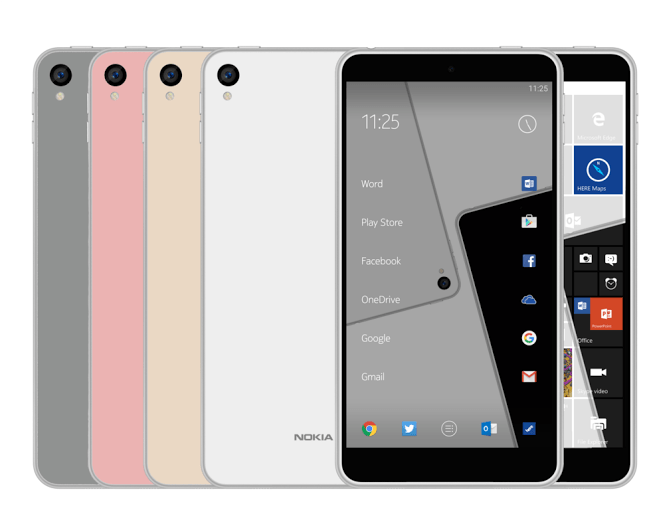 Another information have leaked to the network on the possible components contained in the first smartphone released by Nokiacompany. Announced smartphone, will be produced in two different variants, in terms of its display is going to be a 5 and 5.5 inch screen with a Full HD resolution. Another announced difference is RAM memory which is fitted within the Nokia C1, 2 or 3GB where the second one will have two times more than the 2GB version of the built-in memory, dedicated for user files that is to say 64GB. It is worth mentioning that the model will also be published in two different system options, one containing an Android system and the second would have Windows mobile version.